Please note: this site is from a previous course iteration and is no longer updated. This collaborative course brings art and engineering together into making performance machines which are surprisingly animate. It explores interdisciplinary practice at the intersection of drama, music, and robotics. Students develop group projects culminating in a public performance. Within this process the top-level objective is a reflection on the nature and process of interdisciplinary collaboration. The 16-375 project site will be used to post all project documentation and discussion. Enrolled students may log in to this site using their Andrew IDs. All content may be posted either publicly or privately. 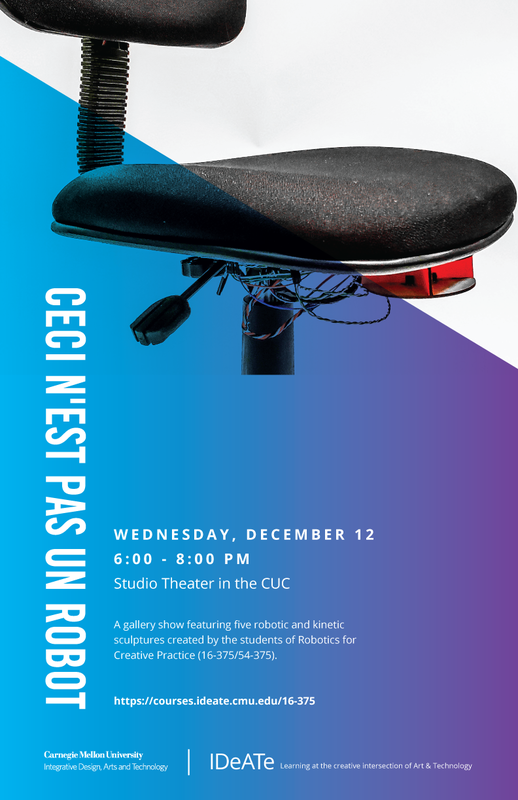 The final show of student artworks will take place Wednesday, December 12, 2018, from 6-8PM in the Studio Theater in the CUC on the Carnegie Mellon Pittsburgh campus. The class has been run each Fall since 2015. The Gallery shows selected final projects from past years. 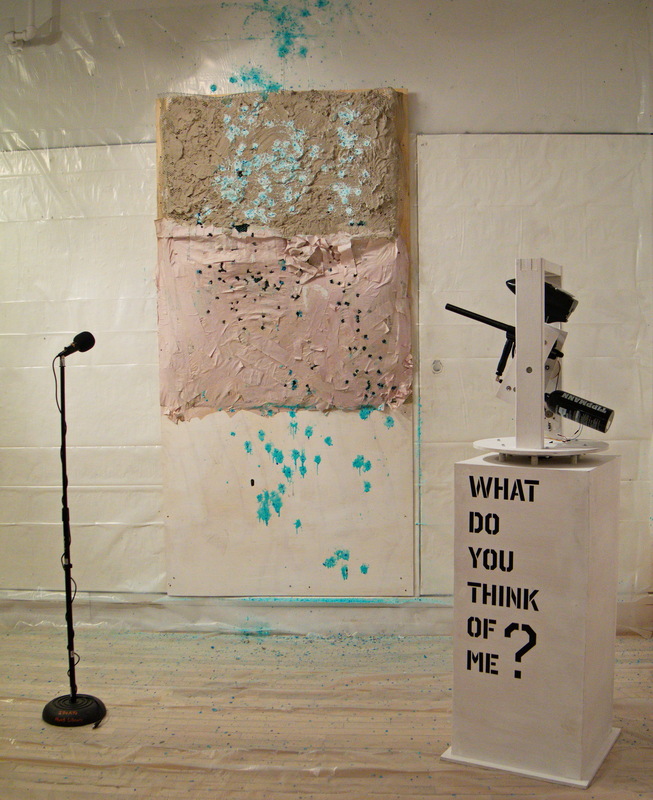 What Do You Think of Me?, an automated paintball turret and target canvas, voice-activated via microphone, Fall 2017. The 16-375 project site presents the course project progress. It is best browsed directly, but an embedded view of recent posts is included below. Embedded blog site appears here. © Copyright 2018, Garth Zeglin. Last updated on 2019-04-10. Created using Sphinx 1.4.9. University legal notice.